Normally on their podcast, Eric and Jeff Rosenthal will invite their guest inside their home, cook an exorbitantly oddball mean and listen as the guest tells stories of their life. For This particular episode, however, things were a little different. 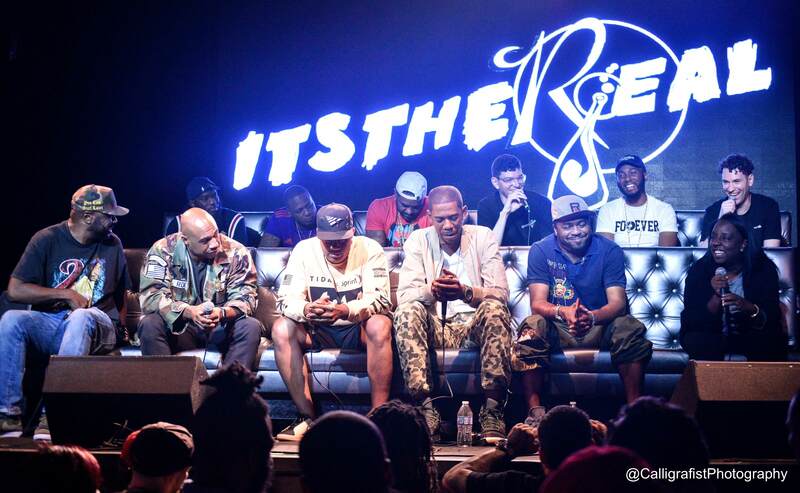 ItsTheReal hosted a special version of their A Waste Of Time” podcast at Manhattan’s Highline Ballroom, and invited a plethora of former (and current) affiliates of Roc-A-Fella Records to their show: founder and partner Kareem “Biggs” Burke, president Chaka Pilgrim, A&Rs Kyambo “Hip-Hop” Joshua and Lenny S, engineer Young Guru, Just Blaze, Freeway, Young Chris, Neef Buck and Jim Jones. Throughout the two-plus hour podcast ever person shared stories of their time on the label which is, arguably, one of the most influential rap imprints of all time. It’s a lot more informative than that “documentary” on JAY-Z and Kanye’s relationship.